FSVPL.ORG: New Art Exhibit Arriving August 17! New Art Exhibit Arriving August 17! "My Favorite Photos" is the new art exhibit opening at the Scotts Valley Library Aug. 17 to Nov. 2. To celebrate the new exhibit there will be an Artist Reception on August 24th from 2-5pm hosted by State Farm Laureen Yungmeyer. Come join us and meet the artist. Sheryl began her photographic journey simply as a way to document the lives and activities of her 4 children. Beginning with a small point and shoot camera, the journey began and a passion was born. Sheryl gathered most of her photographic knowledge through books and self-teaching, as well as plenty of practice. Captured the incredible beauty of our environment in his images for many years. His photographs showcase our deserts, mountains, forests and coastlines along with the plants, insects and animals that inhabit them. In recent years, he has included the California coastal urban environment in his work. John’s work has been published by newspapers, magazines, companies and non-profits and his images have been used for the cover of several magazines. 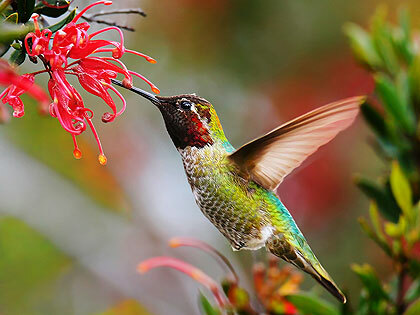 Captures photographs of the scenery, flowers, and wildlife that he finds in nature. His Hummingbird Project was the first project where he had a specific goal in mind. Brent realized that he had this wonderful resource close by -- the Hummingbird Gardens at the UCSC Arboretum so he thought it would be wonderful to enlarge pictures of hummingbirds to put them on a human scale so we could more easily appreciate them and their environment. To learn more visit: www.thecrystalbridge.com. A Photographer from Santa Cruz California. He studied photography at Cabrillo College and UCSC where he started out in the darkroom developing pictures the old-fashioned way, before transferring that knowledge into the digital realm. Conner specializes in Landscape and Macro photography, working in the real and the abstract. Conner also offers portrait and product photographic services. A native of Thailand Petcharee not only photographs her unique carvings but also focuses on macro photography of flowers, landscape, commercial photography of jewelry and collections, portraits of people, birds and animal photography and wedding photography. In December 2012, as a First Place Winner, Tamawong-Benjamin won a trip to Thailand in the National Geographic Photo Contest of “My Thailand, My Story” for her Thai temple photography.